FC PLATINUM coach Norman Mapeza says they tried their best in the CAF Champions league preliminary round, second leg tie at Mandava yesterday. The Zimbabwean champions were blown away by Desportivo de Agosto 2-1, making it 5-1 on aggregate in the process. Agosto scored first through Bokampo in the second half before FC Platinum levelled through Rodwell Chinyengetere. Jacques then scored the second goal right at the end. “We need to work more on our transition from attack to defence. Overall it was good football and we did our best. We have to give credit to the boys. “The pitch was really heavy because it rained before the game. But I can say it was good football and well done to Agosto. I wish them well in the next round, I’m Sure they are going to meet Bidvest Wits,” said Mapeza said at a press conference. Going into the game FC Platinum had highlighted that they now knew how their opponents play. 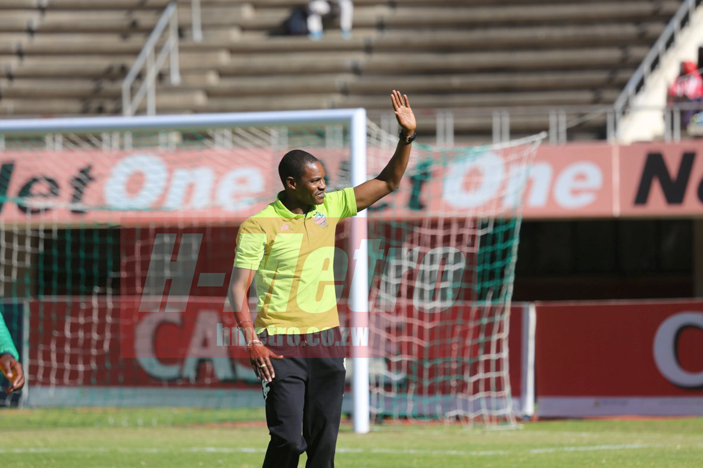 The FC Platinum coach said they were aware that FC Platinum would park the bus and wait to get a goal on the break. “We knew they were going to sit back. We did all we could in the first half, we got good opportunities but we did not get a goal. “In the second half it was the same thing and against the run of play we lost possession and they hit us on the counter and they scored a goal,” he said. Mapeza was not happy that they kept on making the same mistakes, conceding a goal against the run of play in the process. “We managed to get a goal but then again we lost possession again in the final third, in the transition we could not defend and we got punished,” he said.